January 12 – January 17, 2020 Students invited to a welcome reception on Sunday evening, January 12. 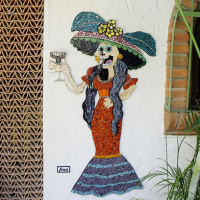 There will be tons of learning and lots of free time to explore Puerto Vallarta, shop or relax. 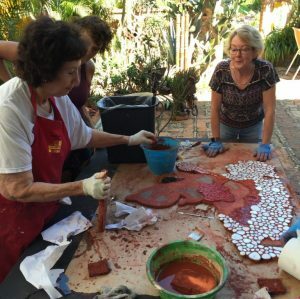 Every evening optional instructor supervised open studio after dinner. Students depart Saturday, January 18. 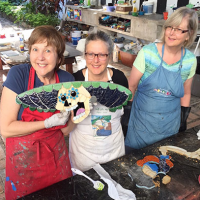 Fees for this workshop are handled by Maverick Mosaics, click here to sign-up, please review the detailed cancellation policy and other workshop information. A $500 deposit is required to reserve your spot. A 3% discount is extended for payment in full via cash or check. 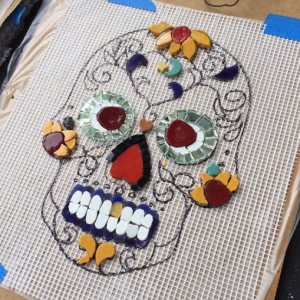 Is the founder and owner of Maverick Mosaics. 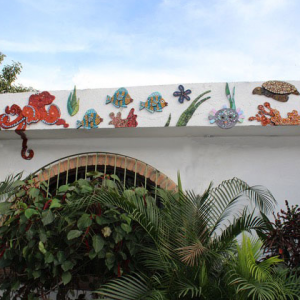 Since 2006 Maverick Mosaics has specialized in unique learning experiences and creating beautiful art. 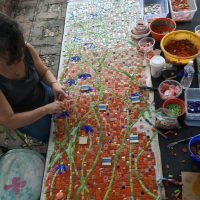 Bonnie has been the instructor of Contemporary Mosaics for the Smithsonian Institution’s Studio Arts Department in Washington, D.C. for the past 6 years. 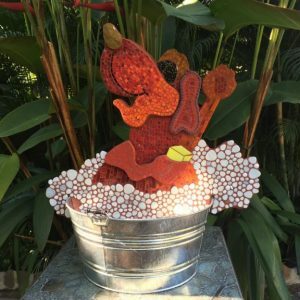 She also leads mosaic inspired tours for the Smithsonian’s Resident Associates program as well as international travel adventures.Much of Bonnie’s works are large-scale architectural installations.Several of her works have been juried into exhibitions over the years including the Mosaic Arts International Exhibition who honored her in 2017 with a juror’s choice award for her site-specific work at the Palmer Park Community Center located in Lanham, MD. 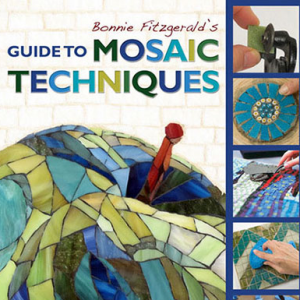 Considered an “expert in the field’ Bonnie has authored two best selling books, both published by Trafalgar Square, London. 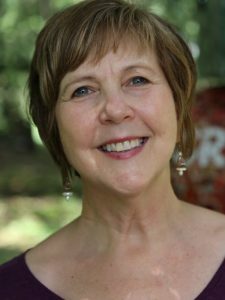 Her first book has been translated into 5 languages. 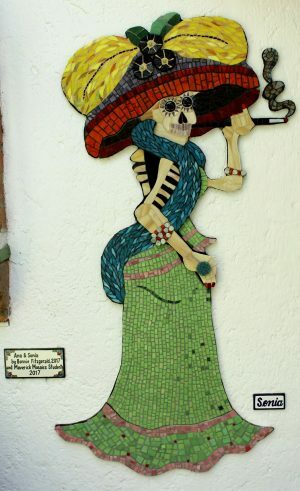 To learn more about Bonnie and to see lots of images of her work visit www.maverickmosaics.com.